Less than secondary treatment removes solids by filtration, sedimentation, and chemical coagulation. Secondary treatment removes most of the organic matter in the wastewater using biological processes. Greater than secondary treatment removes additional organic matter, nitrogen, phosphorus, or toxics. No discharge facilities include facilities that reuse wastewater, discharge to an underground aquifer, or disperse of wastewater via methods such as irrigation or evaporation. The Clean Water Act goals of fishable, swimmable and drinkable waters require secondary or greater treatment. To learn more about wastewater treatment, download Where Does All the Dirty Water Go? Wastewater (sewage) is generated from many daily activities such as washing clothes and dishes, preparing food, taking a bath or shower, washing our hands, and using the bathroom. In highly developed areas, wastewater is often directed to a centralized facility—a wastewater treatment plant—that receives, treats and discharges wastewater from many homes and businesses. For example, the City and County of Honolulu operate several wastewater treatment plants. The 2004 Clean Watersheds Needs Survey found that 61.9% of Hawai`i residents are served by a centralized wastewater treatment facility. Of those, 34.7% received centralized wastewater treatment at the secondary, greater than secondary or no discharge treatment level. The remaining 38.1% of Hawai`i residents are served by Individual Wastewater Systems (IWSs). An IWS is a decentralized system that receives and disposes domestic wastewater from one or multiple buildings that are not connected to a centralized wastewater treatment plant. Some IWSs treat wastewater by removing pollutants such as solids, organic matter, nutrients and bacteria. Not all systems provide equal levels of treatment. Suspended growth aerobic treatment systems provide secondary levels of treatment, for example, while others (such as septic tanks) only provide primary treatment of wastewater. Other IWSs only dispose of wastewater (e.g., cesspools). With an IWS, wastewater is dispersed or reused very close to where it was generated. If several adjacent parcels are serviced by a single system, the treatment and water dispersal system can also be referred to as a cluster system. The sections below describe three different individual wastewater systems: cesspools, seepage pits and septic tanks. 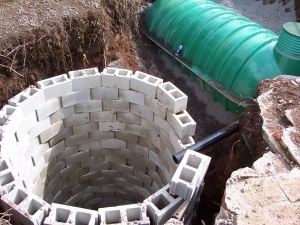 Cesspools are generally large, cylindrical excavations used to receive untreated wastewater. Solids are retained in the cesspool and the liquid percolates into the surrounding soil. Cesspools are not considered a treatment system because virtually no treatment occurs that would protect the surrounding environment; the effluent quality is only slightly better than the quality of raw wastewater. Cesspools are only considered to be a disposal device. New cesspools are severely restricted in Hawai`i and are prohibited in designated critical wastewater disposal areas on all islands. Cesspool owners should consult with the DOH Wastewater Branch and the county wastewater program to learn of alternative wastewater treatment options. Large-capacity cesspools—those designed to serve 20 or more people per day—have been banned. HAR 11-62 contains additional information on where the use of cesspools is allowed. To learn more about the large-capacity cesspool ban, read EPA’s Ban on Large-Capacity Cesspools to Protect Public Health in Hawai`i. The difference between a seepage pit and a cesspool is that the seepage pit receives treated wastewater from a septic tank, whereas a cesspool receives untreated wastewater. Seepage pits are often found where cesspools once existed. 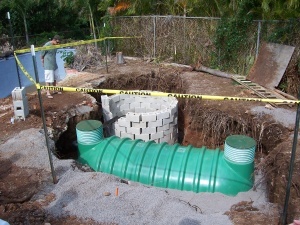 The addition of a septic tank or other treatment system upstream from the cesspool enables the owner to consider converting the cesspool into a seepage pit, if the cesspool does not have any problems like spills, overflows or direct ‘piping’ of wastewater to a stream, river or the ocean. The green, fiberglass septic tank is connected to the seepage pit by the black pipe. Photo was taken in Oahu. A septic tank is a wastewater storage unit that allows for both settling and skimming. Grit and other solids settle to the bottom of the tank and create a layer of sludge. Oil, grease, fat and other floatables rise to the top, creating a layer of scum. Accumulated sludge and scum must be removed on a regular basis. If these materials are not removed, they will move into downstream soil infiltration systems, leading to the failure of these systems. Where site conditions indicate that a higher quality effluent (water leaving the system) is required, septic tanks are used as pretreatment for subsequent treatment systems, including fixed film and suspended growth treatment systems. What Does Wastewater Have to Do with Polluted Runoff? Polluted runoff can occur when IWSs do not adequately treat wastewater due to improper siting, inadequate maintenance, leaks, or if the system does not adequately treat, or clean, the wastewater. When wastewater is not properly treated or disposed of, pollutants such as nutrients, solids and bacteria enter nearby coastal waters, streams and possibly groundwater, where they can contaminate water sources. 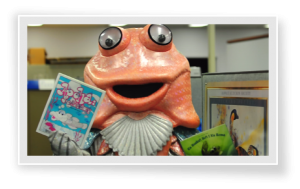 This overenrichment can cause algal blooms; harm coral, fish, and other aquatic animals; and make waters unsafe for swimming and other recreation. How Can We Reduce Polluted Runoff from Wastewater Sources? Research your wastewater treatment and dispersal options for new homes and businesses. There are a variety of wastewater systems available. The March 2008 Onsite Wastewater Treatment Survey and Assessment provides a comprehensive description of systems, required maintenance and cost estimates in Hawai`i. Select a treatment system, not just a dispersal system, to remove nutrients, solids and bacteria from your wastewater. Convert existing cesspools to septic systems. Cesspools provide virtually no wastewater treatment and are considered only a disposal device. A septic tank will remove grit, solids, oil, grease, fat and other floatables from the wastewater before releasing it to the soil for final treatment. Compost or throw away your food waste instead of using a garbage disposal. Garbage disposals require a lot of water to function properly. Food waste adds a considerable volume of solid material to a septic or holding tank, requiring more frequent sludge pump-outs. As an alternative, start a compost pile for your food waste. See page three of Hawai`i Backyard Conservation, Ideas for Every Homeowner for information on composting in Hawai`i. The drain is not a trash can. Dispose of trash, cleaners, poisons or other chemicals at a recycling or disposal center! Also, don’t throw so-called ‘disposable’ cleaning towelettes, wipes and other paper towel products down the drain. They can stop up the treatment works in both centralized and decentralized systems. Inspect and maintain your wastewater treatment system on a regular schedule. Treatment systems require maintenance. For instance, a septic system should be inspected every 3 years and pumped every 5 to 7 years (or as necessary). Become familiar with the requirements of your system. Onsite Wastewater Treatment Survey and Assessment (March 2008) provides a description of the necessary system maintenance. Conserve water. The less water you use, the less water needs to be treated. There are several ways you can conserve water in your home or business, such as purchasing water-efficient appliances and adopting behaviors that conserve water. EPA’s WaterSense Web Site – Provides recommendations for water efficient showerheads and faucets. Water Use It Wisely Web Site – Provides 100 ways we can save water in our day-to-day lives. Hawai`i Drought Monitor – Offers a series of links that also provide water conservation tips for Hawai`i. Worksheet that allows homeowners to keep track of septic system inspections and maintenance. Scroll down the page to find the section on Individual Wastewater Systems. This comprehensive reference manual is designed to provide state and local governments with guidance on the planning, design, and oversight of onsite systems. A guidance manual for local officials to demonstrate the use of alternative on-site wastewater treatment technologies to support zoning for compact and sustainable land use patterns. Presents a “catalog” of the economic advantages and disadvantages of decentralized wastewater systems relative to larger scale, centralized solutions. It also discusses techniques that can be used to place economic values on positive and negative impacts brought about by a community’s choice of a wastewater system.